Meet your inventory management assistant. 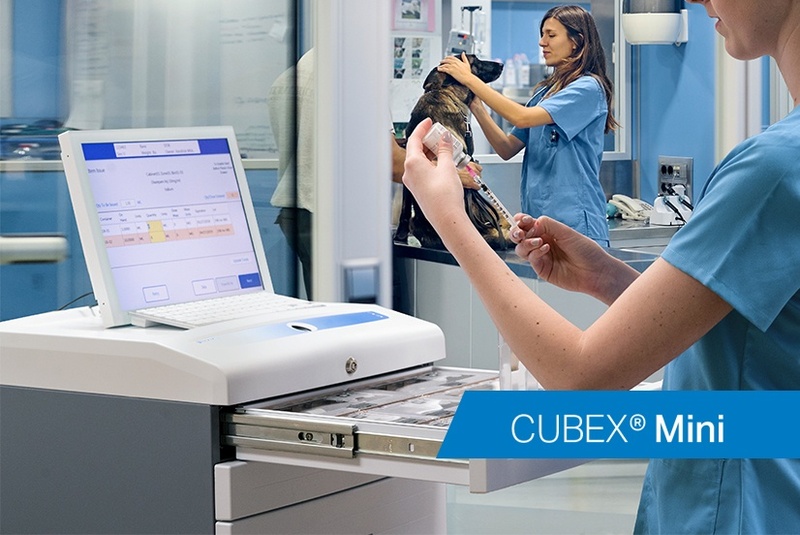 CUBEX Mini is a compact, affordable solution for DEA-compliant storage, dispensing and management of controlled substances within the Veterinary practice. In just seconds, your staff can access the medications your patients need and have all transactions automatically recorded — without fumbling with keys or manual logbooks. How will automated inventory dispensing fit your practice? Let's find out.